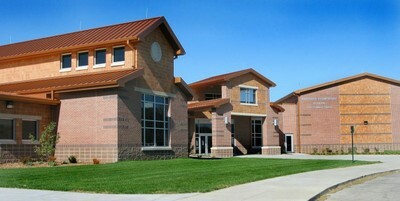 Riverside Elementary was completed in time to begin the 2003-2004 school year. It currently houses kindergarten through fifth grades on the southeast side of the district. Prior to completion, our students attended two other attendance centers which are now serving new uses. The opening of this new school brought together an increased number of certified and classified staff to serve a student population of over 400 students. Riverside consists of a main corridor housing the media center, cafeteria, gymnasium, office complex, and classrooms with versatile walls that allow rooms to be connected or separated. Extending from the main corridor are two academic wings each containing a multipurpose Discovery Room, teacher work room, eight classrooms and restroom facilities. Situated between the two academic wings is a courtyard which extends out to a big playground and soccer field. A third and smaller wing located on the east side of the building is dedicated to our preschool and kindergarten students. These young students also have their own well equipped playground.